Published in the Falmouth Enterprise, February 7, 2012. “The Fantasticks,” at Highfield Theatre in Falmouth is a gem of a show: an enchanting tale about the bumpy road to true love—and growing up. it has memorable songs, laugh-out-loud humor, and an exuberant cast of characters who are clearly having just as much fun as the audience. Directed by Joan Baird, the show may be seen Friday and Saturday at 7:30 PM and Sunday at 2 PM. “The Fantasticks” tells the story of two young people, both fantastic in the eyes of the fathers, who live next door to each other. Huckabee (Matthew Gould) and Bellomy (Bill Mock) are the fathers of Luisa (Jennifer Perrault) and Matt (Ryan Ellis), respectively, and they would like nothing more than to have their children marry each other. Knowing how children are apt to do the opposite of what their parents want them to do (wonderfully expressed in the fathers’ song, “Never Say No”), the fathers feign a feud, building a wall between the two houses, and forbidding the young people from seeing each other. To ensure the success of their plan, the fathers solicit the help of El Gallo (Terry Runnels), who brings in his own assistants, played by Brett Baird and Brian Buczkowski. Pippa Ryan rounds out the cast as the very enchanting Mute. The 16-year-old Luisa is well played by Ms. Perrault. She exudes a girlish charm and sings with grace and a lyrical beauty. Her “Much More” and “Soon It’s Gonna Rain,” with Mr. Ellis are highlights of the show, expressing Luisa’s growing yearnings and hopes for the future. Showing of his versatility, Mr. Runnels plays the dual role of the emcee, who periodically describes the scene and explains the action, and El Gallo, the mysterious bandit who intervenes to help the young people learn life’s lessons. He is a very talented comic actor with a good, strong narrative voice and a good singing voice. His introduction of Luisa, “who tried to memorize the moon instead of reading textbooks,” is delightful. Mr. Runnels also opens the show with its most well-known song, “Try to Remember.” Though he seemed a little breathless in his opening night rendition, he does a fine job of setting the mood for the show. Mr. Baird and Mr. Buczkowski are hilarious as Henry and Moritmer, the actors hired by El Gallo to carry out his play and as pirates who teach Matt about the real world. The husband of the director, Mr. Baird is terrific as a pompous and forgetful Shakespearean actor and Mr. Buczkowski, an actor dressed as an Indian, adds his own quirky humor. Last, but in no way least, is young Pippa Ryan, who plays the Mute. The Mute opens the glittering costume trunk at the beginning of the show, hands out costumes and props to the actors, plays the wall between the two houses, and showers the other actors with confetti, as called for. Dressed as a masked ballerina, she also dances effortlessly and adds a touch of innocence and elegance to the production. “The Fantasticks” is known for the simplicity of its staging, the visuals left to the imagination. The Bairds have designed a creative and colorful set and props that serve that intent well, and the overall effect is magical. Jodi Edwards is responsible for charming costumes and scenic art, and Ian Good is music director. The show ran for 42 years off Broadway, from 1960 to 2002, the longest-running production of any kind in the history of American theater, according to the Falmouth Theatre Guild’s program. It was revived in 2006 and is currently running on Broadway. Music is by Harvey Schmidt and lyrics are by Tom Jones. 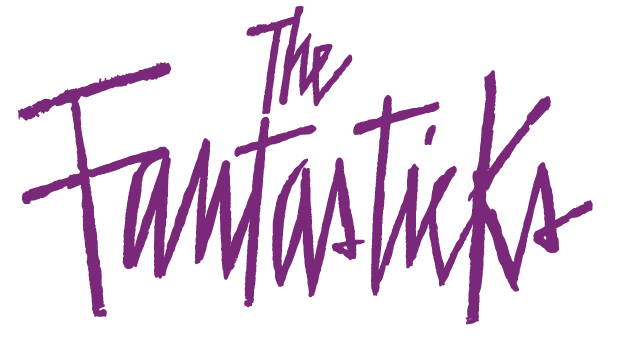 “The Fantasticks” continues Friday, February 10, and Saturday, February 11, at 7:30 P2 PM, and Sunday, February 12, at 2 PM, at Highfi eld Theatre, 58 Highfield Drive in Falmouth. Tickets are $16 for adults, $14 for seniors and children. Tickets may be ordered at www.falmouththeatreguild.org or by calling the box office at 508-548-0400. The box office is open Friday from 5:30 to 7 PM and Sunday from noon to 2 PM.